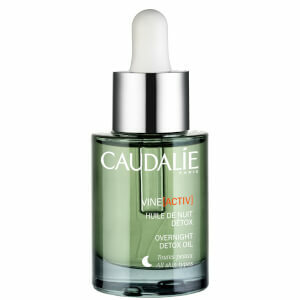 The Caudalie Vinosource Hydration Must-Haves Set combines three of the brand's bestselling hydration products, including a full-sized Vinosource Serum and two mini essentials. Skin is left feeling replenished and hydrated in three simple steps. Ultra-concentrated and extremely natural, the lightweight, oil-free serum continually diffuses water within the skin to restore its moisture balance and leave it feeling soft and supple. Suitable for all skin types, even the most dehydrated. To be used as an emergency remedy or all year round under Vinosource Matifying Fluid or Vinosource Moisturizing Sorbet to ensure that your skin never lacks moisture. Oil-free formula. Proven in tests to be hypoallergenic and non-comedogenic. Fragrance delightfully refreshing. The face mask works by instantly soothing and hydrating to leave skin feeling silky smooth. Suitable for all skin types, its lightweight, creamy formula intensely moisturises skin and contains Grape Seed Oil to provide nourishing Omega 6. Specially formulated with Hyaluronic Acid, a powerful ingredient which retains the skin's natural water levels to give a plumped appearance, and Vinolevure to strengthen skin. Helps to calm irritated and stressed skin. Specially formulated for sensitive skin, the gel-cream formula delivers an immediate soothing effect and leaves skin feeling refreshed and comfortable. 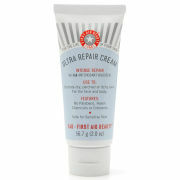 A sensitive skin saviour blended with organic Grape Water to hydrate and calming Chamomile. Ideal for any skin type that experiences reactionary sensitivity, this nourishing formula leaves skin clear, smooth and soft. Serum: Every morning and evening, apply to a cleansed face, neck and décolleté and follow with your moisturiser. Avoid the eye contour. Mask: Apply twice a week to the face and eye contour area. Remove excess mask after 15 minutes, or leave on all night for a deeply nourishing treatment. Sorbet: Apply every morning and evening to the face, neck and décolleté. Serum: Aqua/Water/Eau, Vitis Vinifera (Grape) Fruit Water*, Glycerin*, Butylene Glycol*, Ethylhexyl Palmitate*, Polyacrylate Crosspolymer-6, Polymethyl Methacrylate, Dimethicone, Palmitoyl Grape Seed Extract*, Caprylyl Glycol, Parfum (Fragrance), Squalane*, Vitis Vinifera (Grape) Juice*, Xanthan Gum, Sorbitan Oleate*, Sodium Carboxymethyl Beta-Glucan, Citric Acid, Sorbitan Laurate*, Hyaluronic Acid, Sodium Phytate*, Sodium Benzoate, Sodium Hydroxide, Disodium Acetyl Glucosamine Phosphate, Potassium Sorbate, Alcohol*, Myristyl Malate Phosphonic Acid 101/054. Mask: Aqua/Water/Eau, Glycerin*, Isononyl Isononanoate, Vitis Vinifera (Grape) Seed Oil*, Sorbitan Stearate*, Peg-100 Stearate*, Glyceryl Stearate*, Ceteth-20*, Hydroxyethyl Acrylate/Sodium Acryloyldimethyl Taurate Copolymer, Squalane*, Cetyl Alcohol*, Cetyl Palmitate*, Dimethicone, Butylene Glycol*, Ci 77891 (Titanium Dioxide), Sodium Dehydroacetate, Caprylyl Glycol, Polysorbate 60*, Parfum (Fragrance), Tocopherol*, Carbomer, Sodiumphytate*, Sodiumhydroxide, Scutellariabaicalensisroot Extract*, Acrylates/C10-30 Alkyl Acrylate Crosspolymer, Sodium Carboxymethylbeta-Glucan, Sodiumhyaluronate, Hexylcinnamal, Linalool, Limonene, Benzylbenzoate, Citronellol. (052/023). Sorbet: Aqua/Water/Eau, Vitis Vinifera (Grape) Fruit Water*, Dicaprylyl Ether*, Glycerin*, Butyrospermum Parkii (Shea) Butter Extract*, Hexyldecanol*, Hexyldecyl Laurate*, Behenyl Alcohol*, Glyceryl Stearate*, Acrylates/C10-30 Alkyl Acrylate Crosspolymer, Erythritol, Parfum (Fragrance), Lecithin*, Palmitoyl Grape Seed Extract*, Mannitol*, Tocopherol*, Caprylyl Glycol, Helianthus Annuus (Sunflower) Seed Oil*, Xanthan Gum, Sodium Benzoate, Vitis Vinifera (Grape) Juice*, Glycine Soja (Soybean) Sterols*, Butylene Glycol, Sodium Hydroxide, Citric Acid, Chamomilla Recutita (Matricaria) Flower Extract*, Sodium Citrate, Sodium Carboxymethyl Beta-Glucan, Sodium Phytate*, Potassium Sorbate, Biosaccharide Gum-1, Sodium Hyaluronate, Homarine Hcl, Glyceryl Caprylate*, Alcohol*, Acetyl Tetrapeptide-15 (098/131).